This video features a Porsche 911 that has a Chevy LS V8 powering the rear-engined car. The reason for the swap was a track day that ended with a blown engine. Before the engine went up in smoke the power plant had over 245,000 miles on it. After everything, the swap cost $17,000. Figuring that in and a replacement 911 engine could have been found for less cash. Of course if you swap a Chevy V8 into a car with a blow engine, you start to think that there is no way that lightning will strike twice. This video shows what happens when the same car has the same thing happen with two engines. With this small sample size it looks like a Chevy LS engine is not more reliable than a well maintained 911 engine. Having said this, the engine that blew up was more worn. 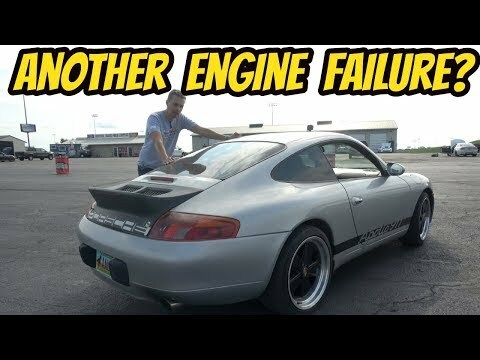 Instead of a new LS engine, this 911 is using a V8 out of a wrecked Chevrolet. Because it wasn’t new, you never really know how it was taken care of before it was put into the Porsche. The moral of the story is that all engines have their strengths and weaknesses. Check out the video and then let us know what you think of Chevy engine swaps and their reliability.